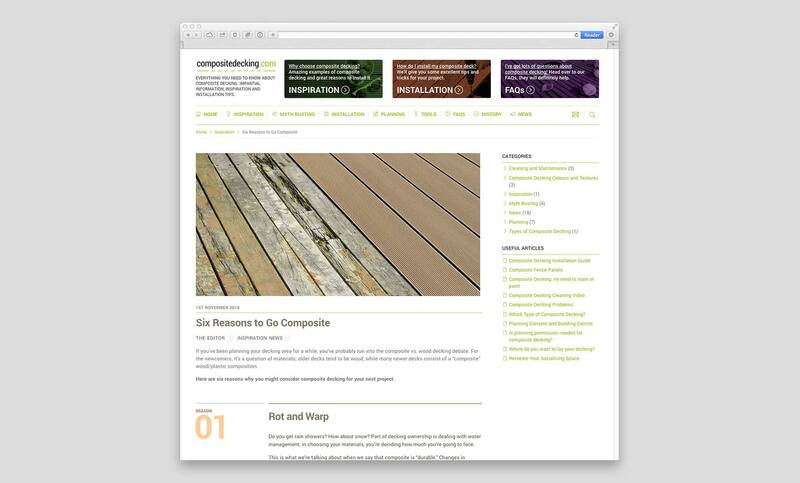 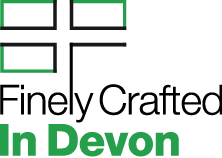 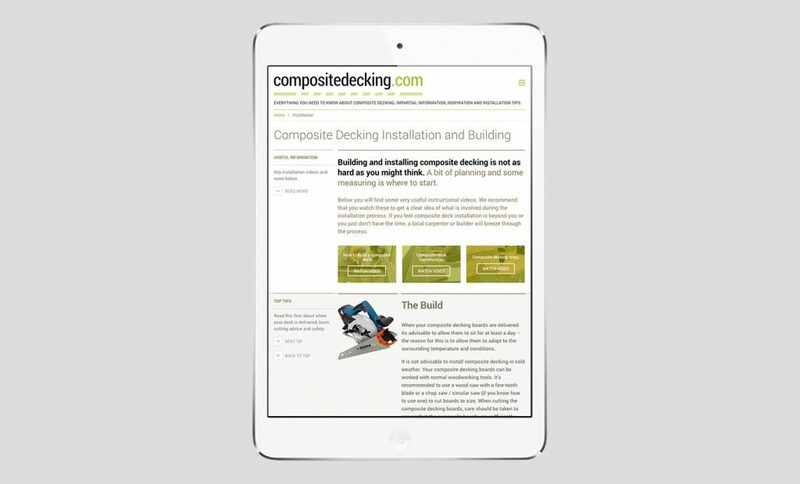 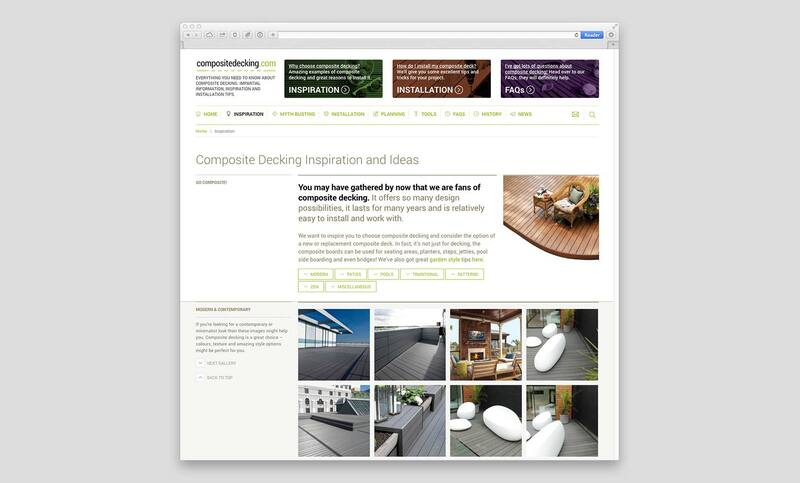 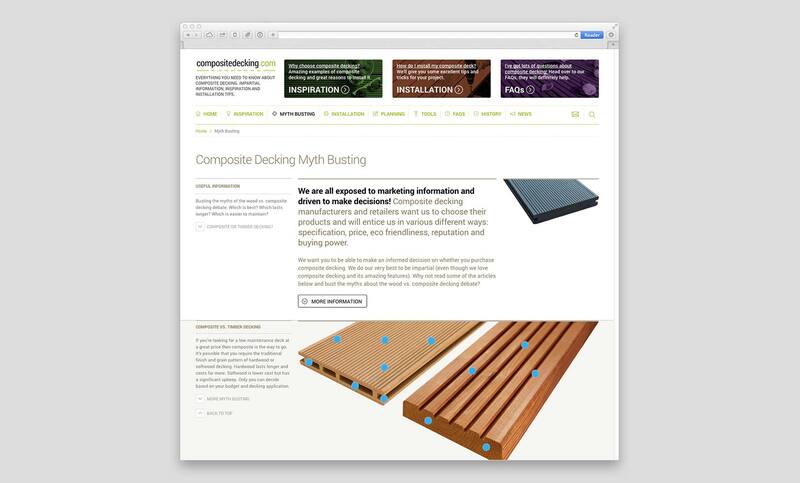 A new client found me via my website and required a local designer to produce a website promoting composite decking. The plan was to extend the knowledge, installation techniques and overall awareness of composite decking. 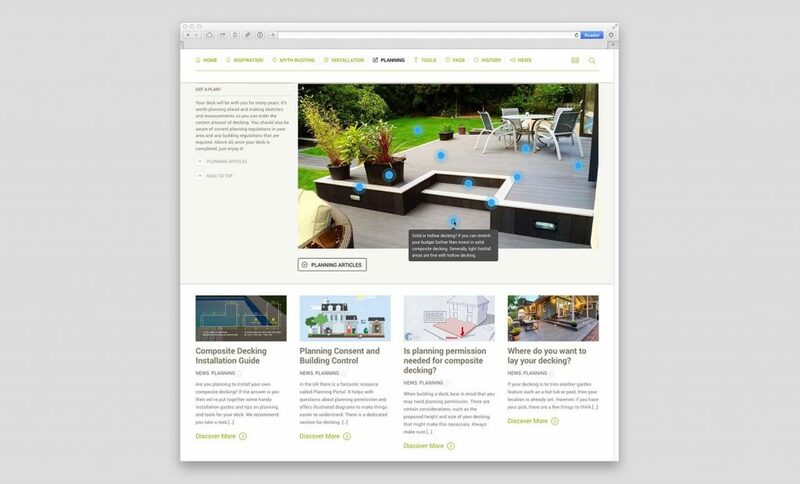 The site is contemporary without being too clinical, very fast to load and fully optimised for smartphone, tablet and desktop computers. 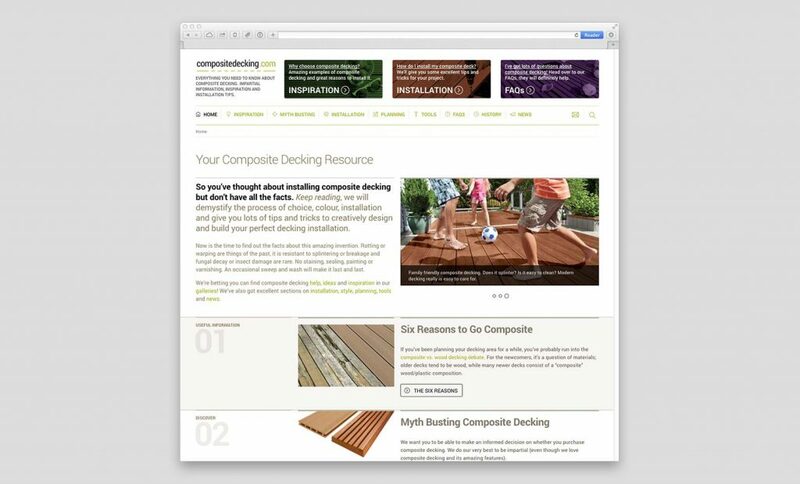 Based on WordPress is easy to update and add new articles and content.